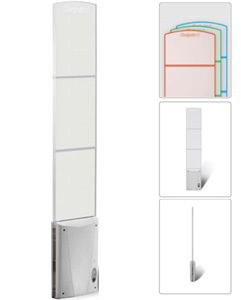 Checkpoint’s EVOLVE iRange of antennas offers intelligent, state-of-the-art solutions that are able to offer store operators enhanced detection capabilities, whatever the size of position of the EAS label. When used in conjunction with the Micro Range of labels, retailers are able to place more product lines safely on open display. 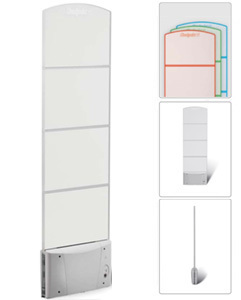 iRange Antennas use game changing 360 degree technology to allow the use of Checkpoint’s Micro Range of labels. With the use of these small labels more higher end and small items can be safely displayed in the open, increasing sales of those items. 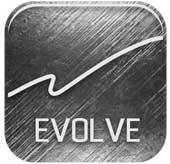 The EVOLVE iRange G10 has been designed with high-end retailers in mind, such as apparel, accessory boutiques, perfumery and health and beauty stores. The EVOLVE iRange G20 is a slimmer alternative to the G10 antenna, and is designed for retailers for which aesthetics is paramount, but where space is at a premium. The EVOLVE iRange G20 has been designed with high-end retailers in mind, such as apparel, accessory boutiques, perfumery and health and beauty stores. The EVOLVE iRange G20 is a slimmer alternative to the G10 antenna, and is designed for retailers for which aesthetics is paramount, but where space is at a premium. *Measurements are approximate. Call us for details.